Hair is the one thing I’m not particular about. I don’t really notice if a certain shampoo or conditioner is actually doing anything to my hair so I just choose them based on scent. I’ve always loved Garnier Fructis haircare products for as long as I can remember. Before that, I usually just used what my mom brought home from the the local cooperative or the latest salon she was frequenting. One day, I noticed that a certain shampoo and conditioner duo smelled great and that duo happened to be from the brand Garnier Fructis. The set had a clean fruity-green scent to it meaning it wasn’t your average, run-of-the-mill fruity-sweet (strawberries, raspberries, or anything berry-related) or citrus-y (orange, lemon, etc…) or even straight up herbal. It was more of a perfect mixture between a fruity scent and a green scent which resulted in that amazing smell that just fills up your bathroom every time you shower! 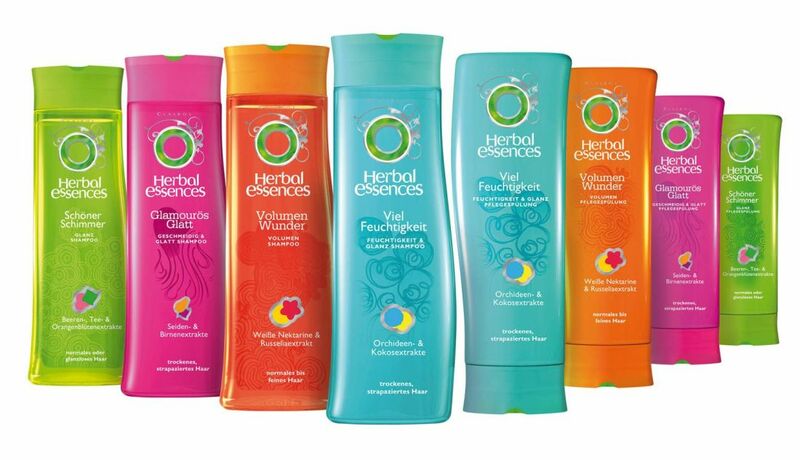 Herbal Essences also makes shampoos and conditioners that smell amazing and I’m quite fond of those as well. They also have hair styling products such as mousse, spray, and so on, which I’ve also tried. They’ve even started making body wash! I’m so excited to try those out… if I can find them… if they ever make it to Kuwait. Anyways, I used to make it a point to use matching shampoo and conditioners, as in they had to be from the exact same line, to maximize the effect (hydrate, volumize, fortify, etc…) After a short time of not noticing any effects, I decided to mix-and-match. I started shampooing my hair with the green one because I felt that it stripped my hair of the built-up residue from my other haircare products (mousse, serum, spray,etc…) and it left my hair squeaky clean (as it claimed on the bottle), and I started conditioning my hair with the blue one which was meant for hydration. I felt that was a good combination because the green dried my hair out and the blue re-hydrated it. I started having trouble finding Herbal Essences conditioners in larger sizes (even at Sultan Center) so I just switched back to Garnier Fructis. Basically, I just alternate between the two, favoring Garnier Fructis a smidge more than Herbal Essences. I’ll use other brands from time to time, such as L’occitane, Dove, Kerastase, Tresemme, L’oreal, etc… just for what they claim to do on the bottle, or because they’ve come out with a new line, or because it smells great but I usually go back to Garnier Fructis because I can’t stay away from it for too long. Garnier Fructis also has skincare items, some of which are quite popular. I remember trying out the green eye-roller pen thing that was supposed to reduce puffiness. Then, they came out with a tinted one that came in beige packaging which was also pretty cool. They also have a vast array of face creams and eye creams and such, even BB creams, but I’ve never actually tried out any of those, aside from the eye-roller pen thingy and the more recent reincarnation of it. I’ve tried a couple of their hair products aside from shampoo and conditioner. While traveling abroad on a summer vacation with the family when I was younger, I discovered Garnier Fructis mousse. It was perfect for me because I have naturally not quite curly yet not quite wavy but very very frizzy hair. All I had to do was work some into my hair and let it air-dry and voila` frizz-free curls that took me a maximum of all 5 minutes. It also smelled amazing, just like the shampoo and conditioner! I’ll have a post all about it, hopefully soon. 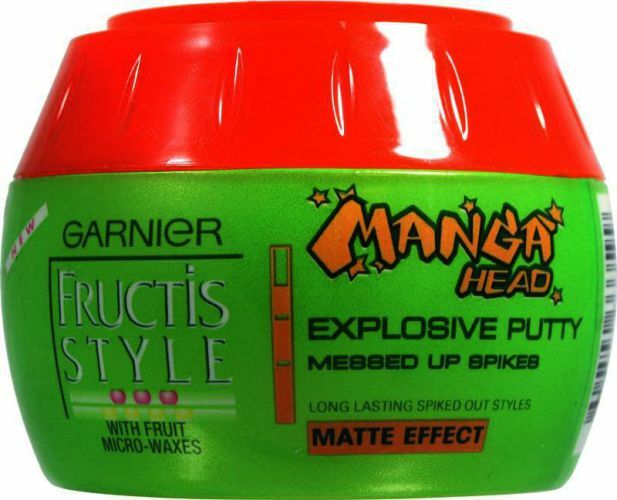 Another hair product I’ve tried from Garnier Fructis was their Manga (You are not the first to come out with a product that has Manga in it’s name, L’Oreal) Head Putty, which unfortunately did not give me Manga Head but that’s because of my own lack of experience, and waist-length hair. Ideally, if you want Manga Head, your hair should be shorter than that.